Could the Clinton Campaign be behind today’s DDOS Attack on DYN’s DNS Servers? It sure sounds like something they might try, them blame it on Russia and Donald Trump. Did the Clinton Campaign launch today’s ddos attack against dyn, to blame on Russia and Trump? Of course we’re only speculating – but we wouldn’t put it past them. They could very well have launched this attack, then pin it on Russia. Liberal media will run with whatever there told like the squawking parrots they are, bashing Donald Trump. We sure wouldn’t put it past them, after Project Veritas outed DNC Clinton Campaign violent attacks on Elderly and Disabled Americans visiting Donald Trump Rallies. Watch these videos to see the crimes Clinton’s campaign violated! 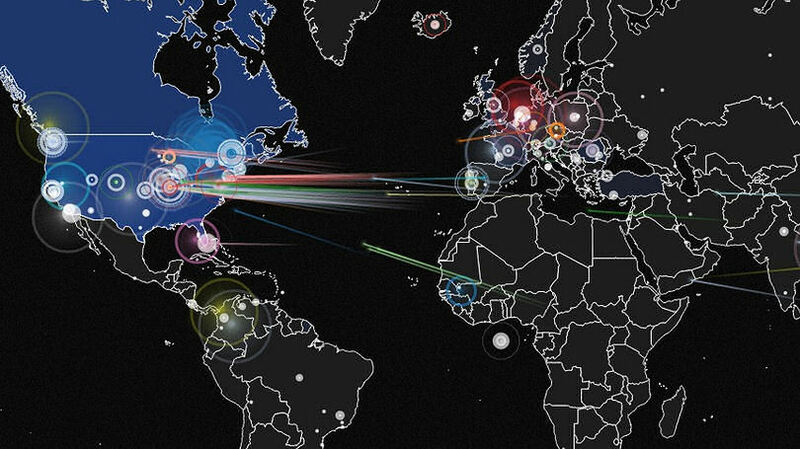 Major DDoS attack on Dyn DNS knocks Spotify, Twitter, Github, PayPal, and more websites offline today. From Gizmodo.com: Twitter, Spotify and Reddit, and a huge swath of other websites were down or screwed up this morning. This was happening as hackers unleashed a large distributed denial of service (DDoS) attack on the servers of Dyn, a major DNS host. It’s probably safe to assume that the two situations are related. Update 10/23/16: As it turns out, this attack was carried out by what’s called Internet Of Things (IOT.) Devices like dvr’s, webcam’s, baby monitors, etc. This is what’s referred to as a botnet. Botnets are usually infected pc’s or smartphones. These IOT’s carried out a hackers command to flood DYN’s servers with millions of bogus requests per second, overloading the resources until they crashed. Some are saying this was only a test run for the big crash on election day. As it turns out a total internet blackout in theory should not stop voting, but could delay sending a precincts total votes to that state or counties election central offices. However many older electronic voting machines that do transmit data over the net may do so without being encrypted. This could allow interception of data where it is flipped in a few microseconds and resent on it’s merry way almost instantly. With this election anything is certainly possible. And the Clinton Campaign has already proven they will do anything to win this election. I think the goal of this attack was to take down Twitter. The Clinton’s are above the law. They could have done this and not be prosecuted by the FBI or any other agency under Obama, and they know it.